This looks so amazing and I will definitely have to try it! 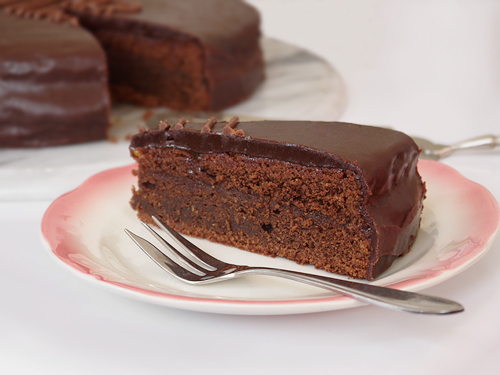 Anyway, I haven’t had Sachertorte since, so I look forward to recreating it – and the idea to use self-raising flour is quite clever! Thanks – I thought it looked rather elegant. I did a couple of tests before getting up the nerve to do it on the cake, as I knew there was only one shot at it. 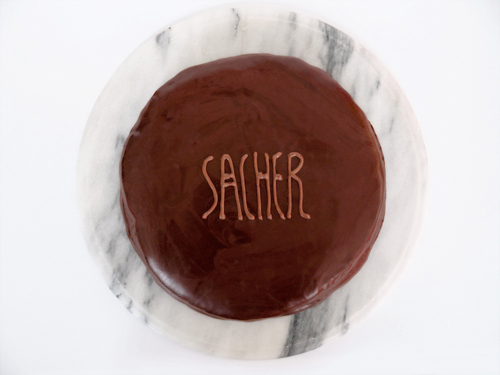 I hear what you’re saying about Sachertorte sometimes being too dry – it is usually served with whipped cream, and I think that helps with the texture but also balances the richness of all that chocolate. And…of course…heroic amounts of jam help too. Good luck with the cake – the actual sponge is a recipe from Mary Berry (from the Great British Bake-Off) and her recipes really are excellent. I just tweaked it a little, so I can’t claim all the credit! This is my favourite cake ever. I was fortunate to have worked for a company when living Frankfurt that looked after the Hotel Sacher reservations and they used to send us a cake each every Christmas! Your cake is amazing! I love Austro-Hungarian pastries–especially this one. 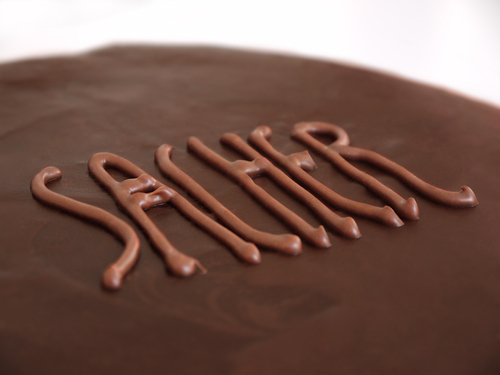 I made myself a sachertorte for my birthday last year and it was delicious, but not so pretty as yours. I am going to try again this year and am bookmarking your post for then. Hi Sara – I hear what you’re saying. The cakes are great (the Esterházy Torte is amazing), and the pastries delicious. Some very different flavours too – poppy seed is one of my favourites. “Kafe und Kucken” is always a big part of any of my trips to that part of the world. I hope your Sachertorte turns out well! 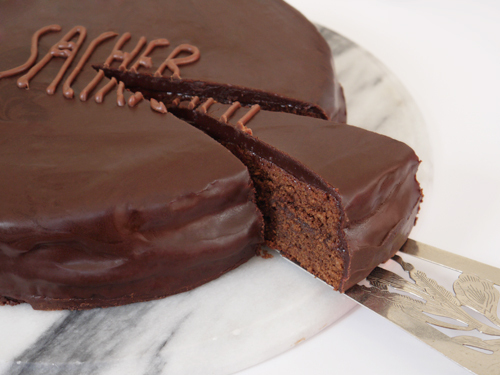 I can’t believe you made Sacher Torte – very impressive. But more importantly, why wasn’t I invited to sample it?! I’ve got a few other things up my sleeve too. Maybe you want the help with one of those this W/E? I’ll be in touch.